Enriching the soil first is the foundation of organic gardening. 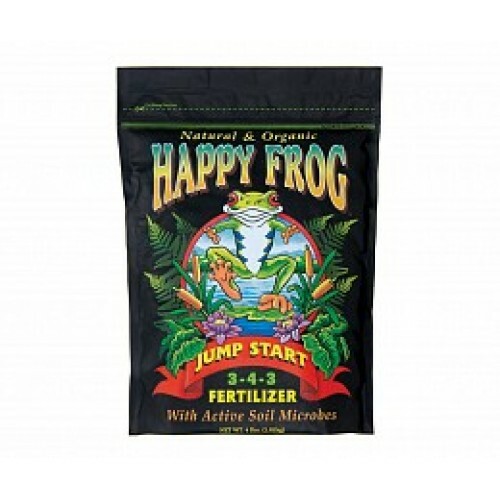 Happy Frog works in harmony with nature to gently provide nutrition over time as well as it encourages millions of beneficial soil microbes to flourish. These micro-organisms help convert the organic fertilizers into food that is immediately available to plants. Shrubs and flowers will have robust vitality, enhanced color, and become more disease resistant. Happy Frog enhances fruit and vegetable production creating higher yields, sweeter flavor and brings more nutrition to your table.